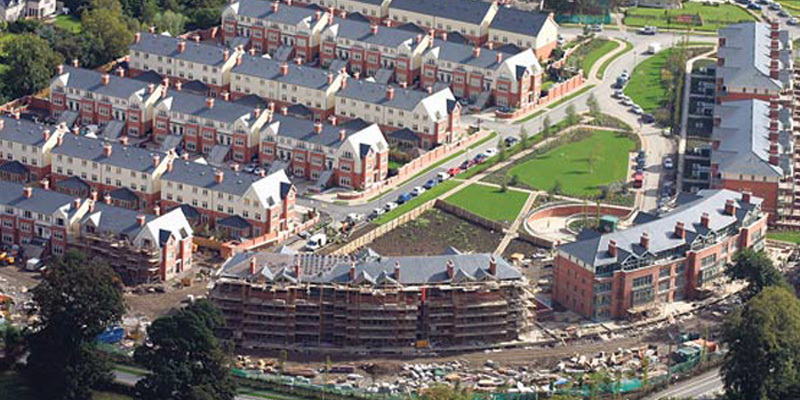 Adamstown is a substantial urban development, on a Greenfield site ten miles west of Dublin city centre. 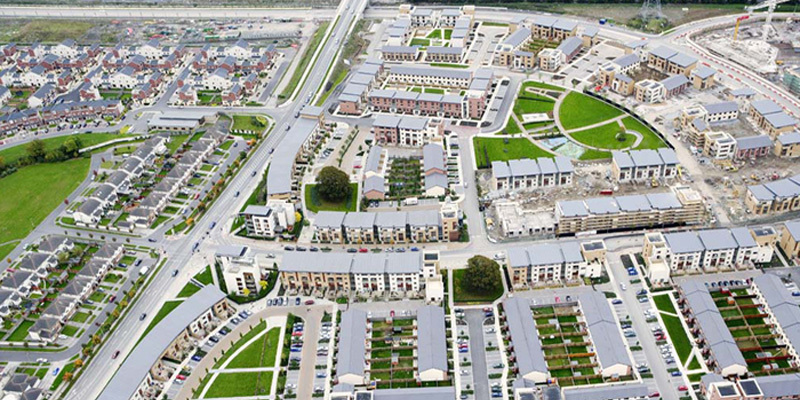 The site which runs adjacent to the main Dublin / Kildare railway line has been designated as a strategic development zone. It has an impressive range of facilities, including a railway station, bus corridor, roads, schools, parks, and childcare facilitates. The first phase of the development was arranged around well-constructed and attractively designed precast concrete apartment buildings. 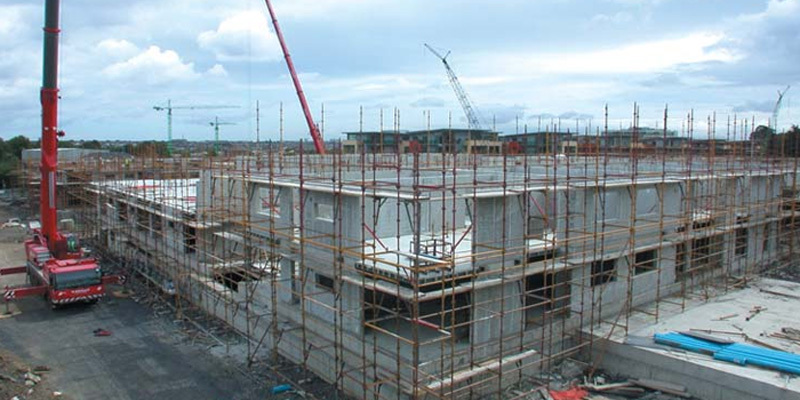 The entire framework, including all wall, floor and stair units were supplied by O’ Reilly Concrete. 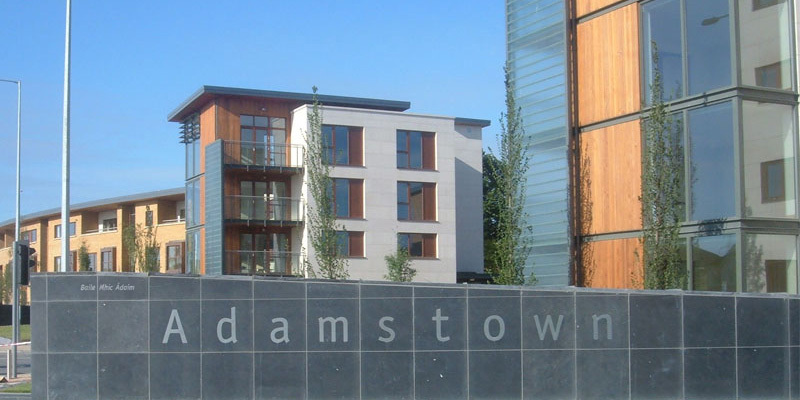 The Adamstown apartments feature two different construction types – one a full precast solution and the other a mixed construction of precast spine walls, braced with steel frames in the stair cores. 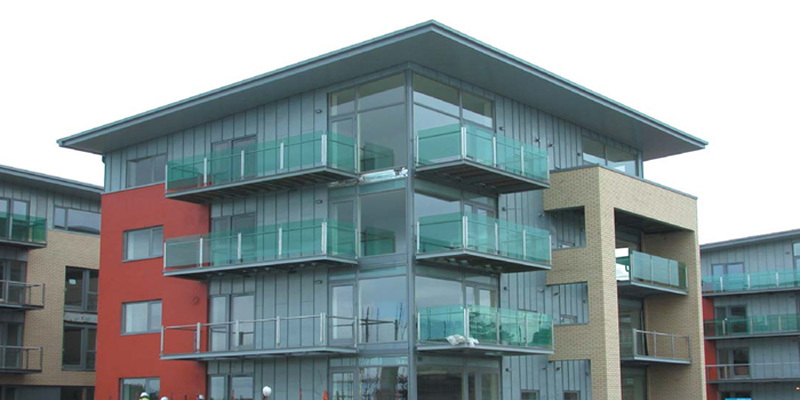 All walls, floors and stair units are fully tied-in and conform to the robustness requirements stipulated in BS 8110. 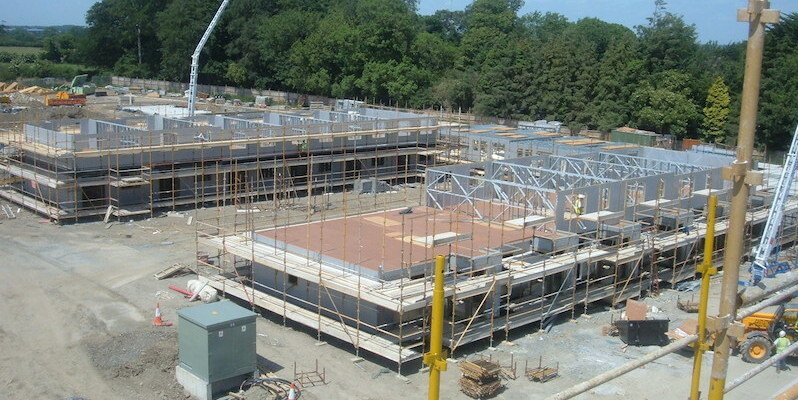 Load bearing wall panels are seated one on top of the other and are connected by means of vertical steel reinforcement bars cast into the bottom panel. 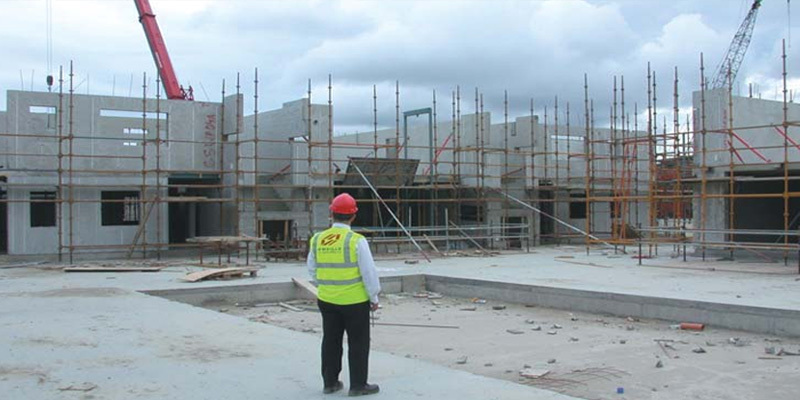 The reinforcement bars protrude into special sleeves which are cast into the top panel. The sleeve is subsequently filled with a non-shrink grout (through a grouting tube), which joins the panels while simultaneously providing vertical anchorage. 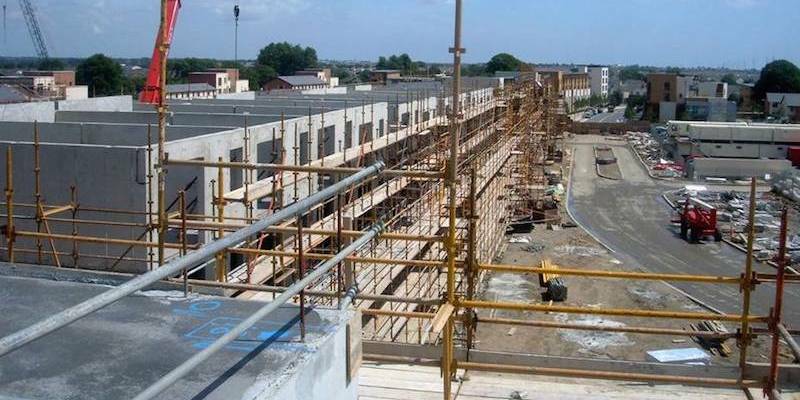 Panels placed side by side are connected by ‘scarf jointing’.